The Art of Black and White: Paintings take a space from blah, to crazy awesome. In my opinion, there are few things more beautiful than black and white. I know they may not be the most exciting or outlandish colors, but oh, do I love them! I love the drama, impact and depth they add to a space. They convey so much emotion and depict the scene or abstract composition so perfectly. They allow the artist to focus on just the composition and contrast. The results are almost always stunning. …And don’t tell me that white and black are not colors. They are! They’re two of my favorite colors! 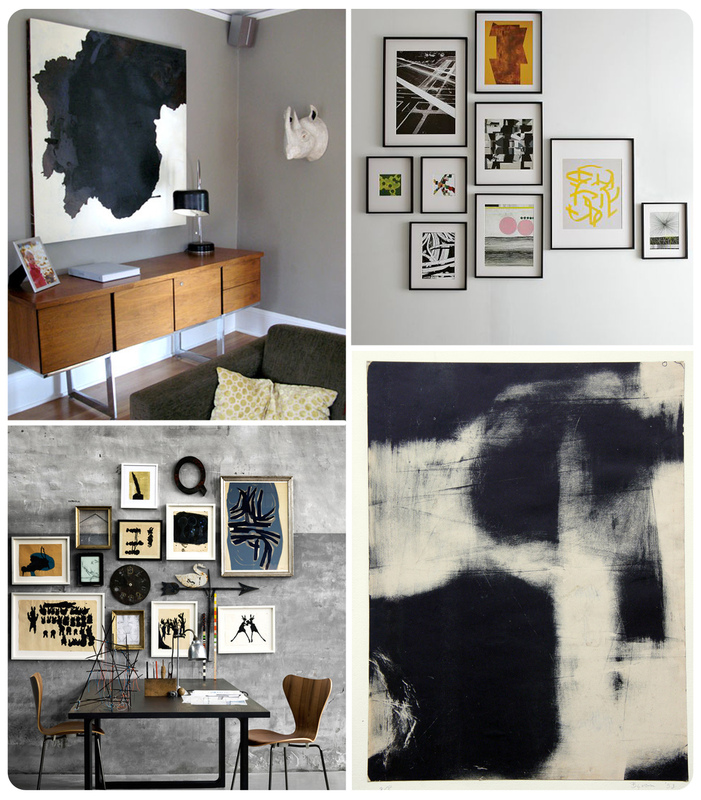 Above and at the end of this post are a few examples of stunning black and white abstract pieces. Abstract (non-representational) paintings are so intriguing to me. Oddly, while they look so easy and effortless to paint, I have only created two or three (out of hundreds of paintings) that I genuinely like. I have a lot of respect for abstract painters. They have a hard, and very rewarding job. Thank you so much! Few things make me happier. I’m glad you did! Stop by often! Blog looks so cool! I like black and white and just love the stuff in b/w.